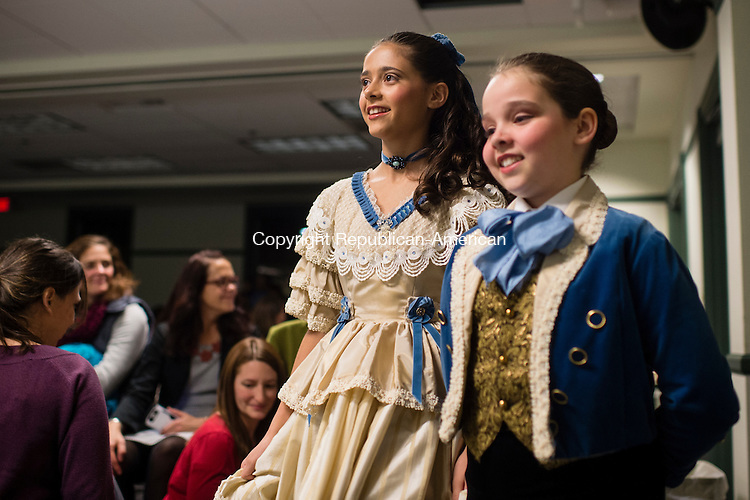 SOUTHBURY, CT - 20 November 2015-112015EC16-- Julianna Rodrigues, dressed as the Nutcracker's Clara, and Kate Rodrigues, as Fritz, weave through the crowd during an interactive Nutcracker performance with children who showed up at the Southbury Public Library Friday night. Members of the Main Street Ballet of Woodbury will perform the entire production December 5th and 6th at Pomperaug High School. Visit www.mainstreetballet.com for more information. Erin Covey Republican-American.